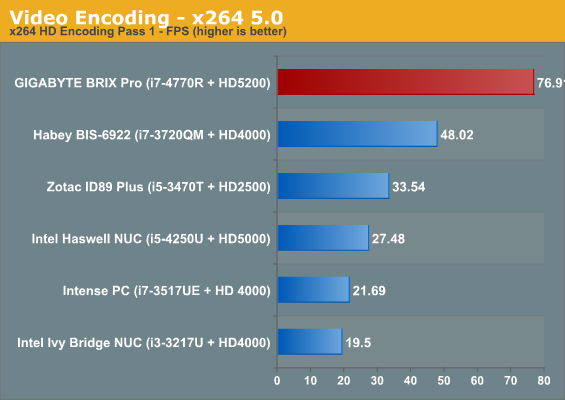 The BRIX Pro was evaluated using our standard test suite for low power desktops / industrial PCs. 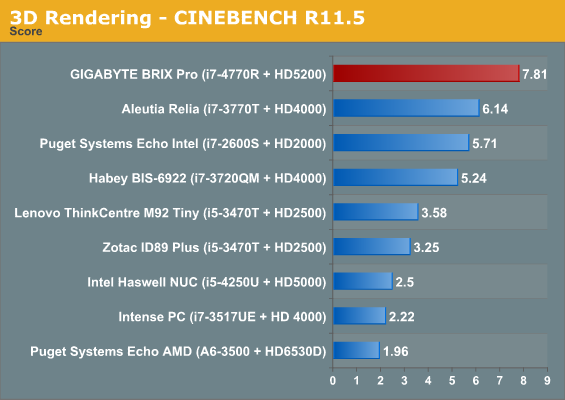 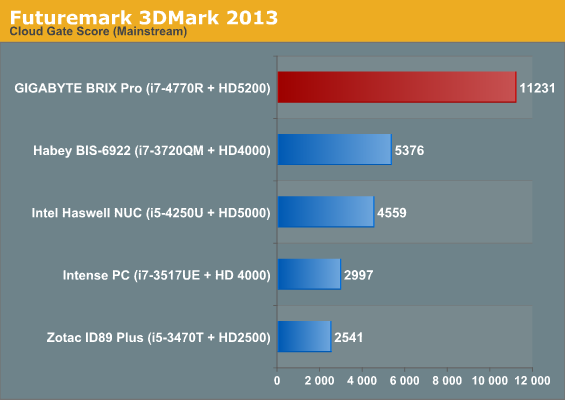 Note that some of the benchmarks are pretty recent (such as x264 v5.0 and 3D Mark 2013). 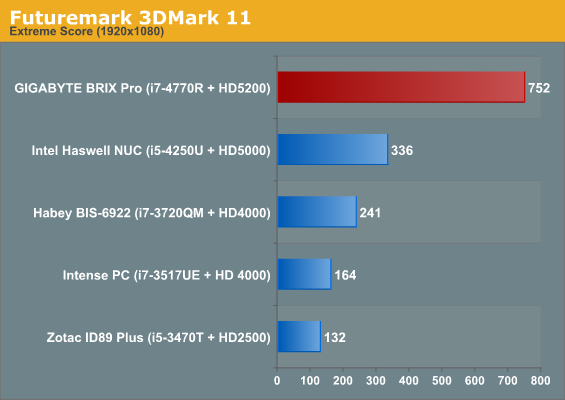 Loaner samples haven't been tested with these new benchmarks. 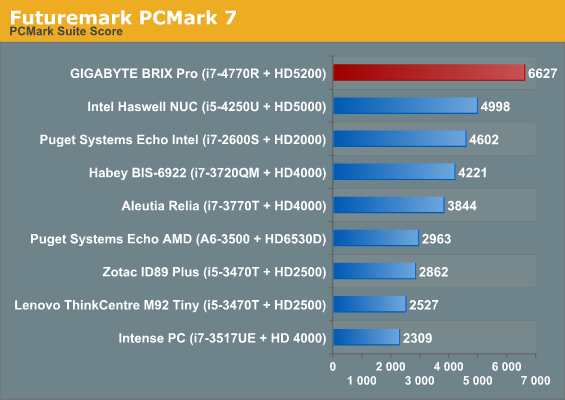 Therefore, the list of PCs in each graph are not the same. In the Windows Experience Index, the BRIX Pro scored 6.9, and was primarily held back by the graphics subsystem. 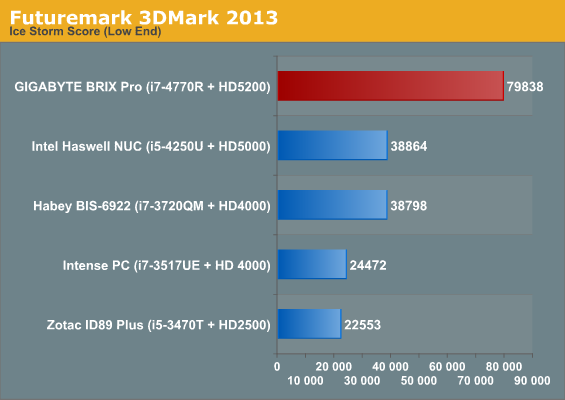 These benchmark numbers are downright impressive for a system in this form factor.